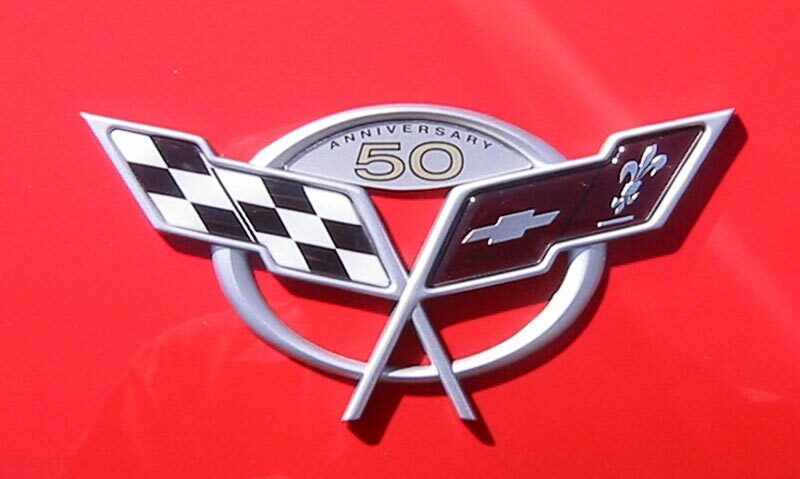 All 2003 Corvettes had 50th anniversary nose and trunk badges (above left) and fender badges (right). 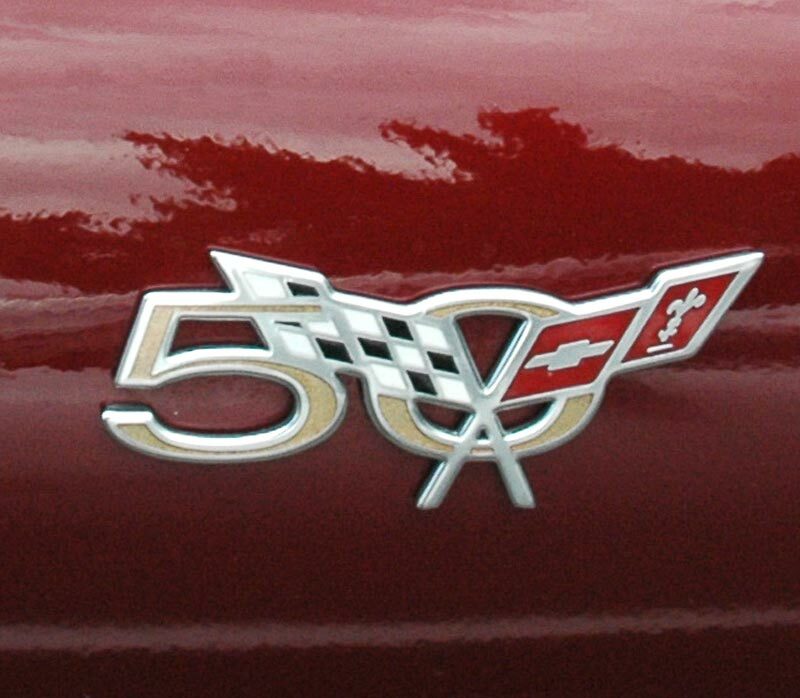 Right: Corvette 50th anniversary seat headrest embroidary. 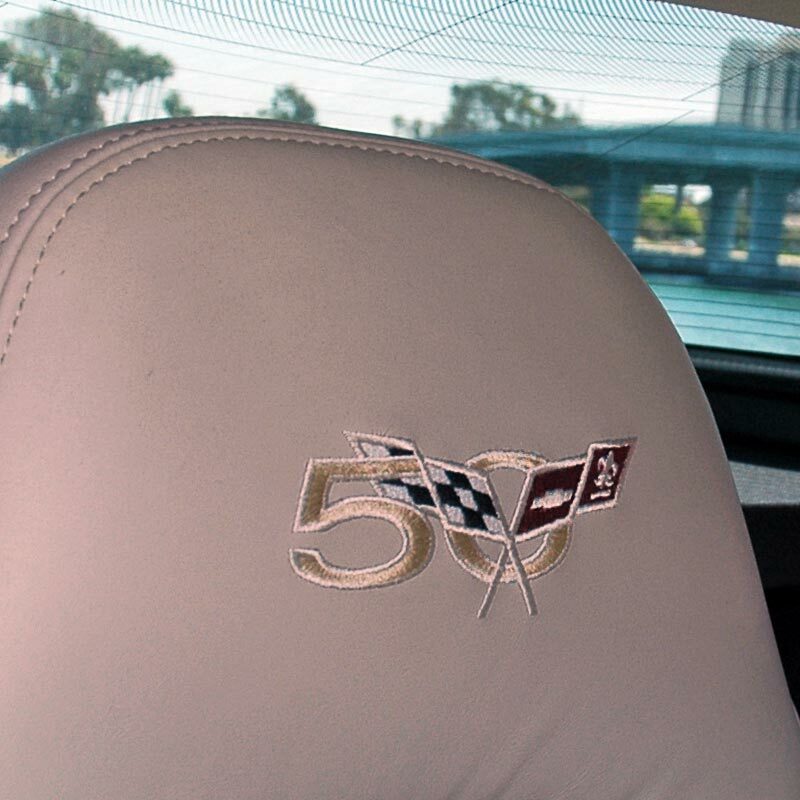 Below: A special 2003 only anniversary edition with Xirallic Crystal paint, a Shale interior and convertible top, 50th Anniversary embroidered headrest logos and Champagne aluminum wheels. 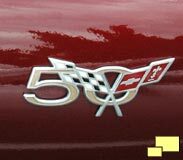 The 2002 Indy 500 was paced by at 2003 Corvette. 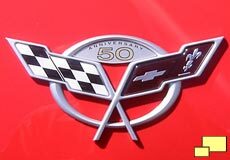 Unlike past years, a Indy 500 replica was not offered but a decal package could be had for $495. 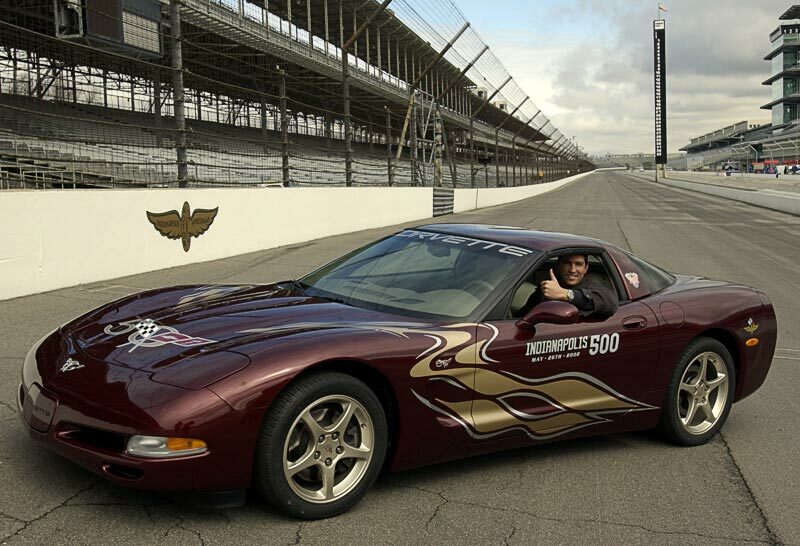 A special Le Mans commemorative edition Corvette was available for 2004. 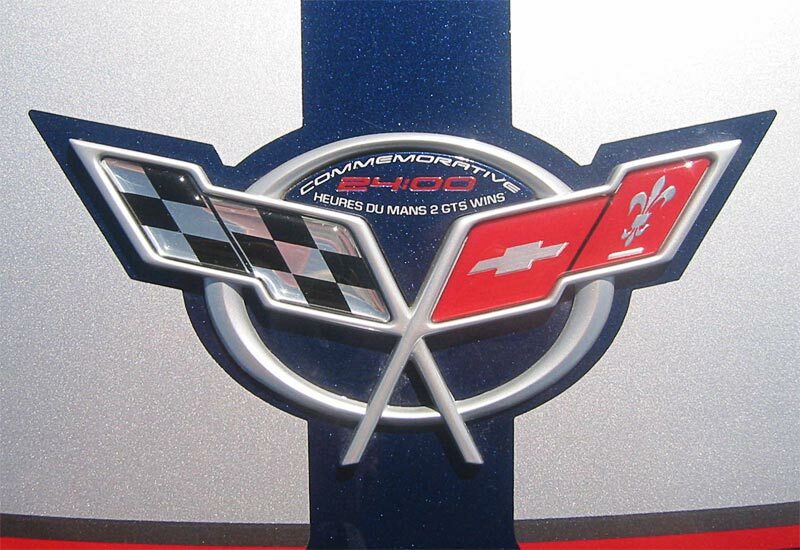 Right: 2004 Corvette Le Mans Commemorative Edition nose and trunk badge. 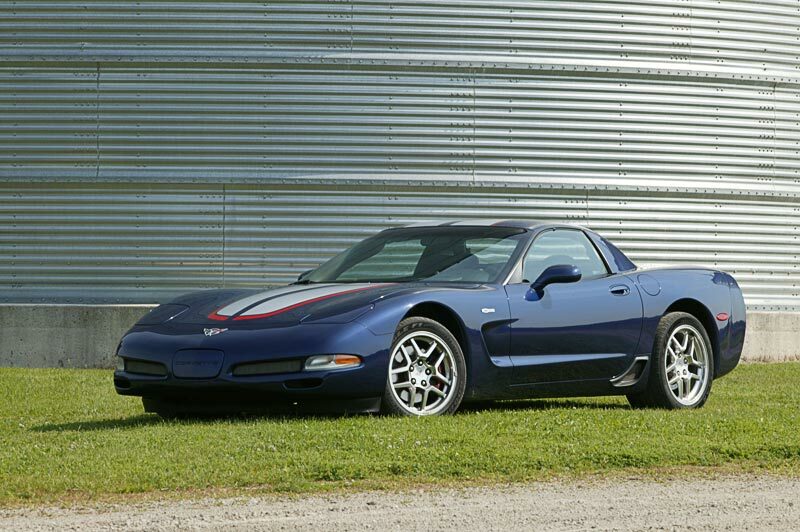 2004 Commemorative Edition Corvette with Le Mans Blue paint and white stripe with red border. 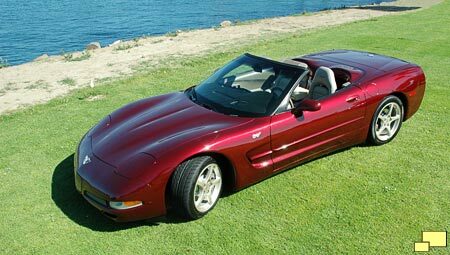 Of special note: The hood of the 2004 Corvette Le Mans Commemorative Edition offered a strip of carbon fiber that was exposed by clear paint.